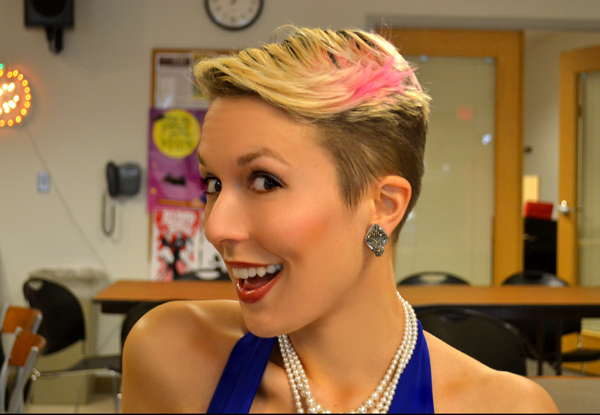 dressed up like a lady: Special Halloween Post by MC! Special Halloween Post by MC! Hi everybody, Matt here (known more affectionately on this blog as MC). I thought it might be fun if I were the one to post about our fun Halloween hijinks, since Cammila has a ton of work to do. 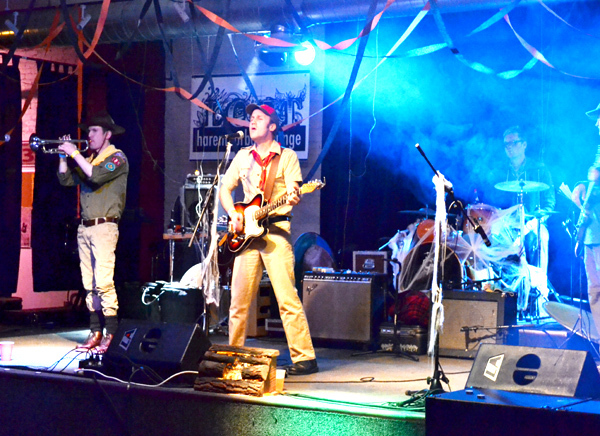 We had a busy Halloween weekend, kicking it off with a Timothy Monger State Park show in Lansing opening for Frontier Ruckus. As you can see below, Cammila and I followed Tim's lead and wore Scouting uniforms. Tim wore a very official modern uniform that made him look like the coolest troop leader ever with his Fender Telecaster guitar. Mine is a vintage '50s green shirt that Cammila posted about last week. Admiring the uniforms of generations past, I convinced my dad to track this vintage uniform down for me when I was 9 or 10, and wore it for most of my time as a Scout. I've always been a huge Indiana Jones fanatic and it occurred to me in preparing for the show that I could probably evince River Phoenix's 1910's uniform as the young Indy from The Last Crusade. I had to substitute some military-style cargo pants rolled into wool socks for Young Indy's cool calf-high leather boots. Coupled with the awesome Alden Indy Boots Cammila gave me for my birthday I think I came pretty close, no? Cammila wore my old Cub Scout uniform (which she previously wore for a Canastas show) paired with a child's Western hat, fishnet stockings, a thrifted wool skirt that was so well-made and nicely lined that she felt a tad guilty for cutting it to mini-length for a kind of glam-rock cub scout look. How cute is she?! 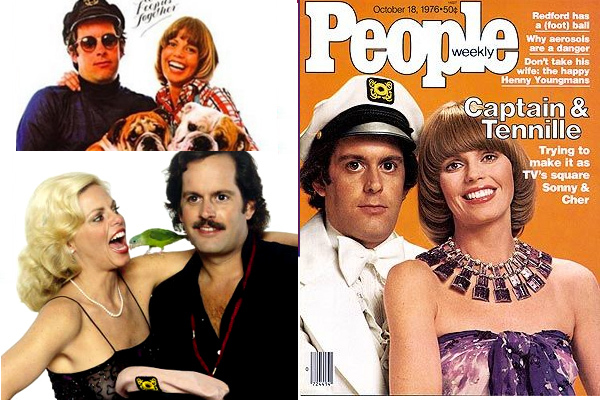 At our office Halloween shindig we went as the uber-smooth '70s pop duo The Captain and Tennille. As cheesy-looking and yacht-rock ready as Captain and Tennille were, they were actually a really talented and experienced group. Daryl "The Captain" Dragon toured with The Beach Boys and helped arrange the music for drummer Dennis Wilson's one and only now cult-classic studio album. Toni Tennille also sang back-up for The Beach Boys and even sang on Pink Floyd's The Wall. Cammila's hair isn't quite long enough for Toni's trademark Dorothy Hamill bowl cut, but she more than made up for it by feathering her cropped locks and grinning from ear to ear. Is that a 1000 Watt smile or what? 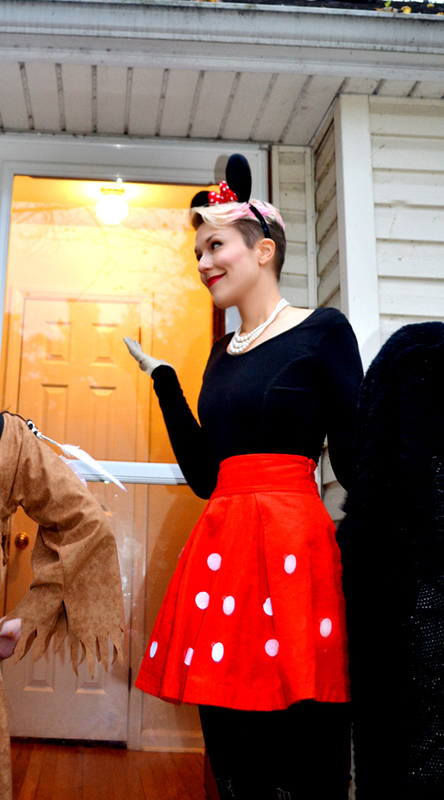 For Halloween trick-or-treating, we accompanied my daughter and her two cousin's as they went door-to-door in my sister's cozy Ypsi neighboorhood. 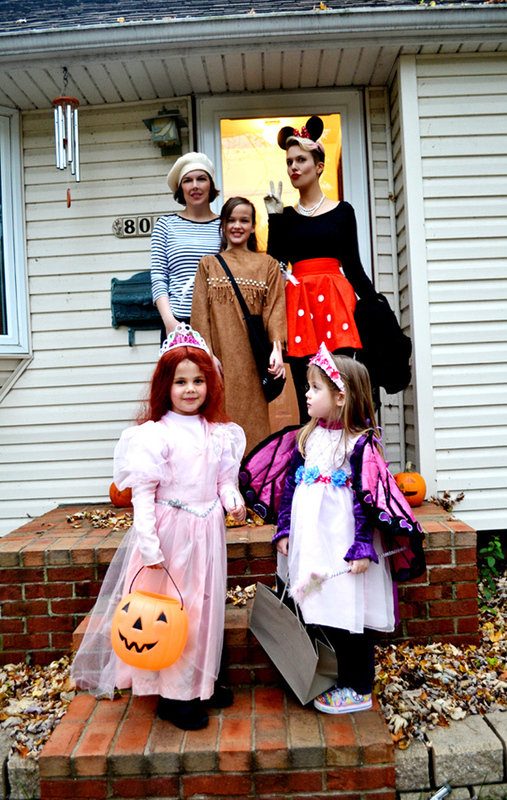 My sis dressed up as a quintessential French artiste, while Cammila transformed herself into Minnie Mouse. Then we had Pocahontas, Glinda the Good Witch from The Wizard of Oz and my daughter GBear as a Butterfly-Fairy-Princess -- a costume that should earn Cammila a Good Housekeeping award for the time, effort and creativity it took her to sew/paint/glue it together over the weekend. What can I say, Cammila is a thrifty, crafty, style genius. She even cut and taped all of her Minnie Mouse skirt polkadots herself. I'm smitten for life and thankful for it. It was SO cold here in Michigan that we layered my daughter three times under her fairy costume and Cammila even broke out her sub-zero Canadian military jacket which gave the impression of Minnie Mouse as if on a USO tour. Cammila and I couldn't have asked for a more enjoyable or memorable Halloween. Love the last photo, it's so clear how much those little girls love you Camilla. What a wonderful Halloween, I can't wait to take some littles of my own door to door! MC--Clearly you know this already, but you snagged yourself a serious babe. 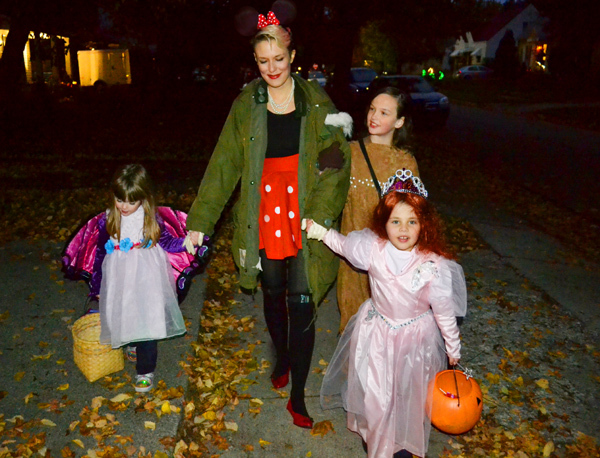 She rocks cub scout to Minnie Mouse with equal hotness.